Every year since T was born (yes, even when he was 5 days old!) we've spent new years eve with friends from the village, enjoying good wine, lovely food, excellent music and great company, we usually all bring food and drink along the kids go off to play and we have a good old house party, we have a little chill out and watch Jools Hollands Hootananny and after ringing in the new year, the music goes up and we have a second wind and the music goes up and we all have a blooming good time. If we didn't do this, I'd probably have a little new years eve party for T. I've scoured pinterest just for you (well not entirely true, I can usually be found hanging out there!) and I've put together a few ideas that I would do for him. 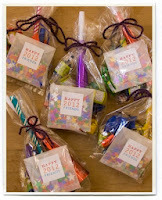 I love these little goodie bags, in fact I did them for our NYE party last year and they went down very well! 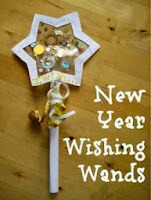 Ok so maybe not for boys, but a more 'harry potter' style wand or just the star. I hope you like some of our ideas! Do let me know if you have any ideas by adding a link in comments, and I'll pin to the board! 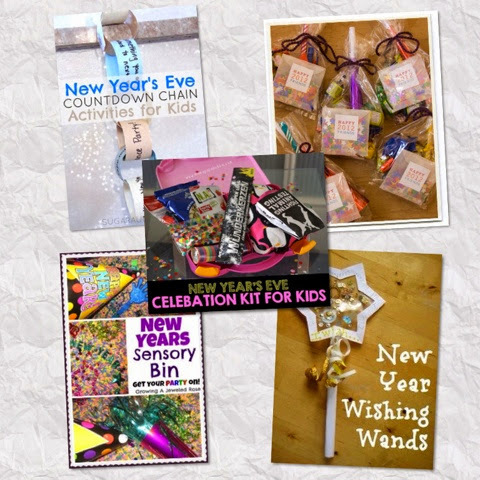 There are lots more ideas on our pinterest board which you can find here. 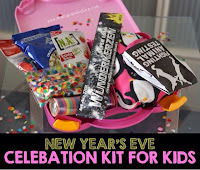 Have a fantastic new years eve whatever you are doing.